Directions: Istanbul to Cappadocia can be done by Air or by Bus. By air the journey takes an hour approximately, but is considerably more expensive. The alternative is by bus, but the drawback is the 12 hour journey that can extend depending on the road conditions. 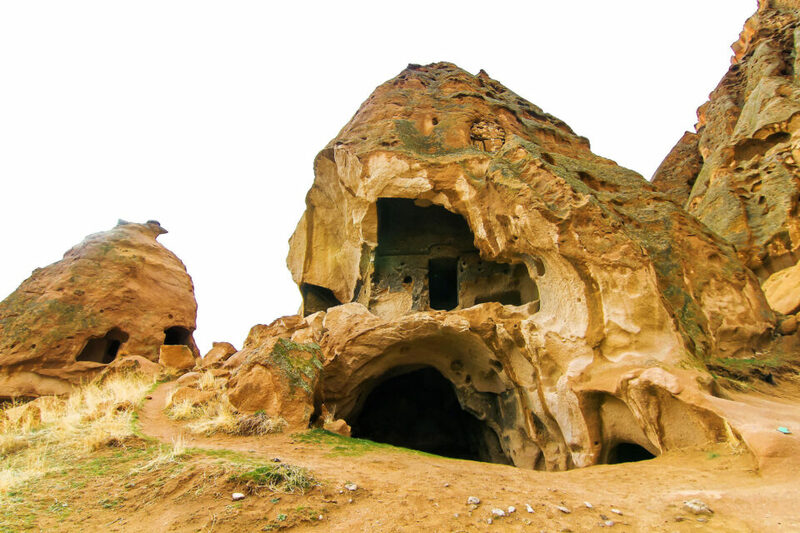 The best and only way to see cappadocia is through guided tours, since each attraction is quite far from one another. 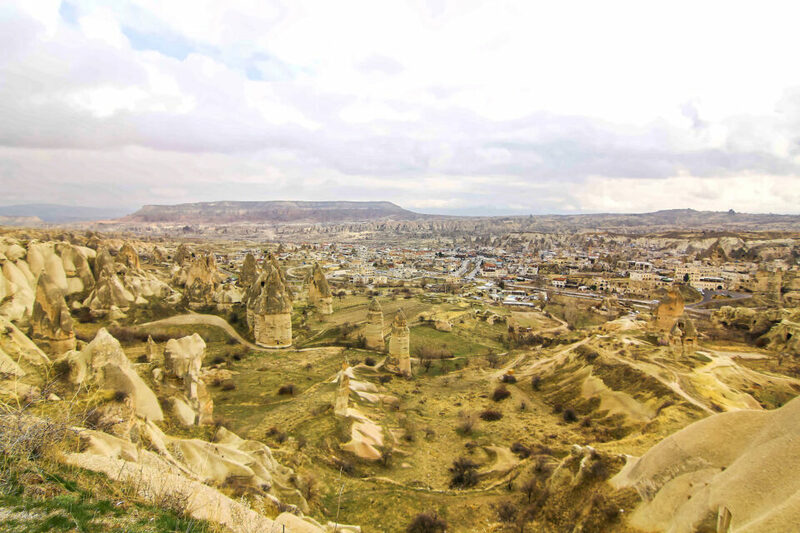 Cappadocia is one of the most amazing hidden gems from the past centuries. The grounds are steeped in history and this is evident from the moment you step of the bus. 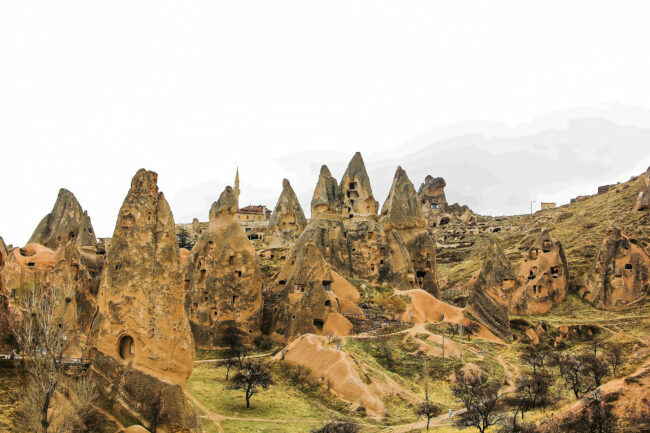 Fairy chimneys are the first thing you will notice, remnants of the sites volcanic history. 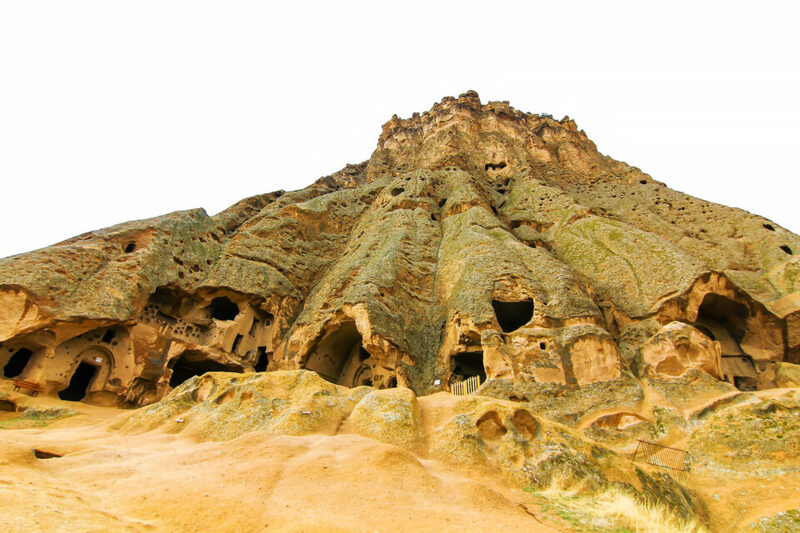 Humans have carved their homes in those fairy chimneys for many centuries and continue to live in them to this day! One of the most important things to do in Cappadocia is the balloon rides. This will give you a complete view of the valleys. For a landscape photographer, the contrasting colours between the black peaks of volcanic rocks and the red rocks that litter the landscape, are simply irressitible. Please note that the tour guides do love to rush you from one location to another, so there is fairly little time to setup tripod. Yes, a good tripod is must as the weather is quite finicky. Over cast skies give way to bright sunlight in a matter of minutes. This wreaks havoc on the exposure times. A good wide angle combined with a ultra zoom should help you cover most of the scenery. Those rocks look like they have an outline along the ridge… Why is that? Seems to show up for both the Tamron and the Tokina lens.